MANILA -- Foreign Affairs Secretary Alan Peter Cayetano on Wednesday signed the implementing rules and regulations (IRR) of Republic Act 10928 which extends the validity of the Philippine passport to 10 years. The official disclosed that the IRR would take effect on January 1, 2018. "Bakit di effective right away? Kasi yung passport po may mga agencies all around the world and may notices, kung i-approve natin dito nang 'di alam ng ibang bansa, baka kuwestiyunin kayo (Why is it not effective immediately? Because as for the passport, there is a need to notify agencies around the world. If we approve that here without informing other countries, we might be questioned. )," he explained. 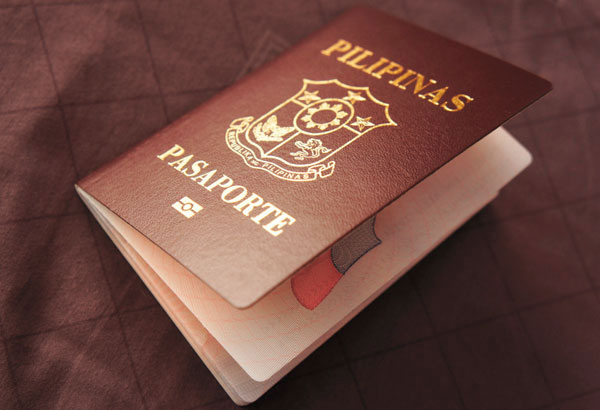 He said two months from its implementation date is "enough time" to inform other states that the Philippines would be extending its passport validity to 10 years. He added that the booklet would be priced similar to the current passport with a 5-year validity. "This won't be having a price increase since you will be getting the same basic passport," he addressed the public in a statement delivered through his official page. The updated passport fee for express processing is PHP1,200 while the normal processing is PHP950. The normal processing time for passports is up to 20 working days while express processing is within 10 working days. Cayetano, however, said under the law, applicants 18 years old and below would only be given passports with a 5-year validity. "(Applicants) below 18 years old, nagbabago pa yung mukha so it's better na after 18 years old, once expired na yung passport, doon lang i-renew para mag-10-years," he said. The DFA chief, for his part, extended his gratitude to President Rodrigo Duterte and Congress for the swift passage of the law. Cayetano explained that the IRR formulation was delayed for some time due to "extensive" and "exhaustive" consultation with the House of Representatives.